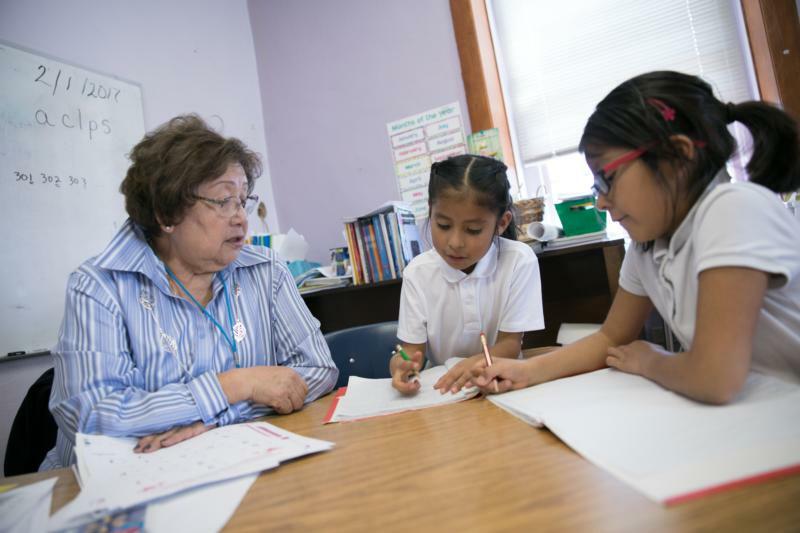 CHICAGO (CNS) — At a time when many Catholic schools are struggling with enrollment, fighting to survive and at times shutting their doors, Catholic Extension and Loyola Marymount University have teamed up to strengthen Catholic schools in some of the nation’s poorest communities. They have launched the Catholic School Leadership Development Initiative to develop a pipeline of educated Catholic school leaders in dioceses with limited resources and staff. Participants complete courses online to receive a graduate-level certificate in Catholic school administration from Loyola Marymount. Upon completion of the program, participants are asked to commit a minimum of two years of service to a Catholic school in their diocese. In the past five years, 68 leaders from 23 dioceses have earned the certificate. Catholic Extension is a Chicago-based papal society that works to build up Catholic faith communities in the poorest regions of the United States. Loyola Marymount is located in Los Angeles. “This program has been the most valuable educational experience of my professional career,” said Michelle Buhs, who completed the program in 2017. She is the instructional support coordinator for Catholic schools in the Diocese of Tucson, Arizona. Funded by Catholic Extension, the initiative gives promising teachers the graduate-level training they need to eventually become Catholic school principals or superintendents. Five of the first 14 teachers to participate have since become school principals, and one principal has become a diocesan superintendent. For principals new to a Catholic environment, the program teaches them to connect with their school’s faith-based mission. Many participants come from schools in poverty-stricken areas of the United States that are dealing with drug abuse, alcoholism, violence and other community issues. Such realities often leave teachers and administrators disillusioned and overwhelmed. By sharing these experiences with peers who come from similar circumstances, they say they feel a sense of solidarity and support. “At the program’s core is the desire to build prayerful, faith-imbued, faith-driven leaders who will affect the future of Catholic education through reflective practice,” said Jane Walker, academic dean at Knoxville Catholic High School in Knoxville, Tennessee. “As a school leader in a region that is only 2 percent Catholic, I have appreciated the opportunity to form an invaluable network of innovative thinkers who face the same triumphs and tribulations,” Walker added. Antonio Trujillo, a recent alumnus of the program, credits the initiative’s communal and spiritual elements with helping him to overcome a feeling of being “burned out” and restoring a Catholic identity to his school. Trujillo is principal of St. Joseph Mission School, which serves a largely Native American population in rural San Fidel, New Mexico, in the Gallup Diocese. Under his leadership, the school’s enrollment has grown from 12 to 60 students. The initiative continues to expand its reach. This year’s participants hail from 10 dioceses, including Alaska, Puerto Rico and Guam. For Nicole Miller, the new principal of Holy Name Catholic School in Ketchikan, Alaska — located on an island and the only Catholic school in the Diocese of Juneau — the program has been an essential antidote to isolation. The next cohort of Catholic school leaders will begin the program in July. Catholic Extension is currently raising funds to support them at http://www.catholicextension.org/teacher.